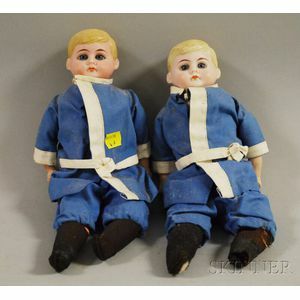 Twin American Schoolboy Bisque Shoulder Head Dolls, Germany, both with blonde molded hair, blue eyes, matching blue outfits, ht. 12 in. 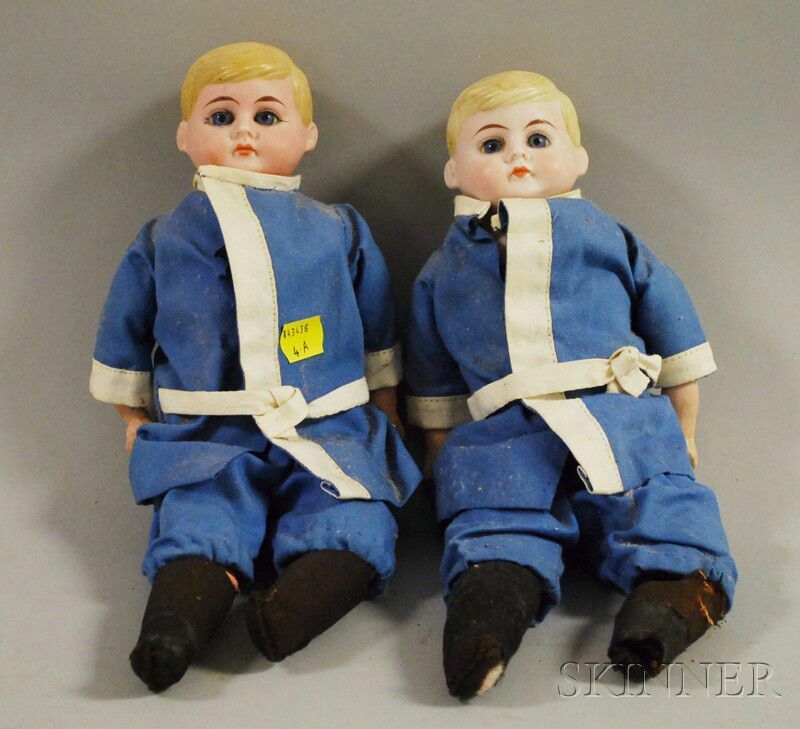 Both dolls have damaged and rebuilt shoulderplates, cloth bodies leaking sawdust.